Sexual Harassment and Your Company: What Should You Be Doing? “Businesses Cutting Out Holiday Parties for Fear of Sexual Harassment.” ABC News. “Lawmakers Under Escalating Pressure to Reveal Sexual Harassment Settlements.” Democracy Now! “Here’s What Charlie Rose Said About Sexual Harassment Before He Was Fired For It.” CNN Money. Every day brings new headlines and new allegations of sexual harassment levelled at big name individuals in television, Hollywood and Congress. Time spent on social media quickly demonstrates how many women are airing their own stories of harassment. Awareness, and a demand for retribution, is arguably at an all-time high. Simultaneously with this heightened public awareness, the EEOC has launched a new website, making it much easier for aggrieved individuals to file a claim. This Public Portal offers tutorial videos in both English and Spanish, and allows individuals to now file a complaint online. Previously the alleged victim would either have to call the EEOC or personally visit an EEOC location in order to start the complaint procedure. Will all of this attention cause changes in how the courts review allegations of sexual harassment, i.e. that the victims must prove the harassment was “severe and pervasive,” a very difficult standard (See, e.g., this article)? Possibly, over time, it will. So what can and should your company do to address these current concerns and make sure your workplace is free from illegal harassment? 1.) Make sure you have a solid, up-to-date anti-harassment policy. This policy should prohibit all forms of unlawful harassment, not just sexual harassment. It should include a clear process for reporting alleged harassment, with alternative avenues for reporting, just in case that person is the alleged perpetrator. It should state that all forms of retaliation for reporting are prohibited. It should include a broad definition of prohibited harassment, and specify that it is okay to report observed harassment, as well as harassment directed at the reporting party. It should not require that the victim confront the alleged harasser first. Also, it should not promise complete confidentiality, but should ensure confidentiality to the greatest extent possible. Be sure that all new employees receive this policy and are allowed to ask questions about it. 2.) Train managers and supervisors. It is important that those who may receive reports of unlawful harassment be trained to know what to do and how to handle reports. They also should be trained to be observant of what is happening in the workplace. They should know the company’s an-harassment policy backwards and forwards. 3.) Promptly investigate any allegation. All complaints of harassment should be investigated to the extent necessary, even those that seem trivial. If an employee comes forward with a complaint, there should be a response by the company. Otherwise, when there is a more significant occurrence, the employee may not bring that to the company’s attention, thinking it will just be ignored. Some complaints are sensitive enough, and significant enough, that it behooves you to bring in an outside, objective investigator to interview the victim, the accused and the witnesses. 4.) Always follow up with the alleged victim. It is amazing how often this step is overlooked: the company has completed an investigation, but never circles back to the victim. It cannot be overstated how upsetting this is to the victim. This often causes that person to run straight to an attorney’s office. Follow-up is necessary, even if it is to report to the victim that the company did not find evidence to support the allegations. You want to make sure that the company keeps the “door open” for additional concerns that may develop in the future, and you want to make sure that each employee feels they have been treated fairly. 5.) Foster a culture of respect and inclusion. 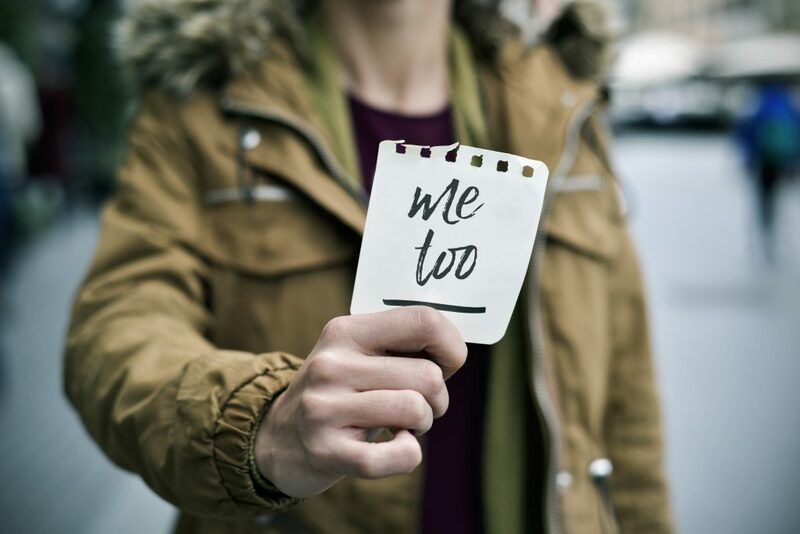 If the executives and managers of your company respect the employees regardless of their gender or ethnicity, and if they expect the best of themselves and all employees, then the likelihood of having incidents of harassing behavior are greatly reduced. Respect fosters respect. In all of this, do not lose sight of common sense. Do not cancel the holiday party! Men and women have been working together successfully for years, and will continue to do so despite all the recent news stories. Please do not hesitate to contact us at (316) 262-2671. We can review your policies, provide training for your managers, and conduct investigations.